"Come for the food, stay for the people." 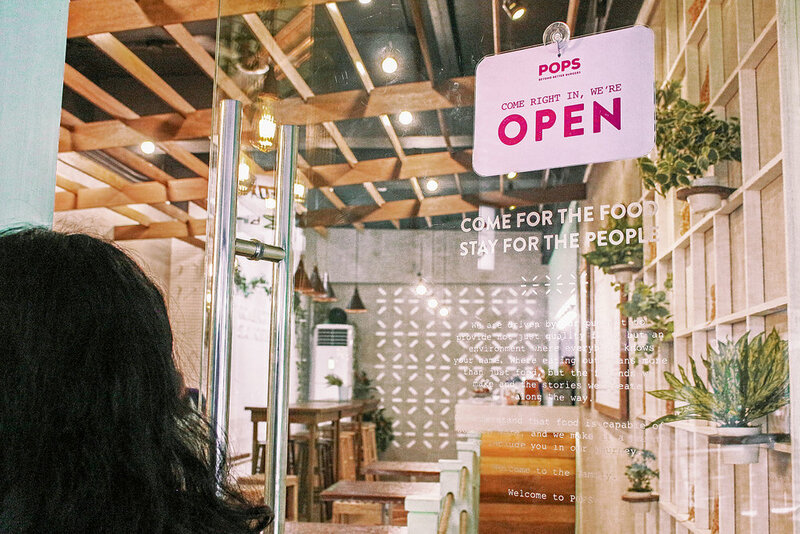 POPS is a family owned fast-casual restaurant in Katipunan. Their goal is to provide a neighborhood gathering place where people can not only enjoy quality comfort food, but also a warm and welcoming environment. 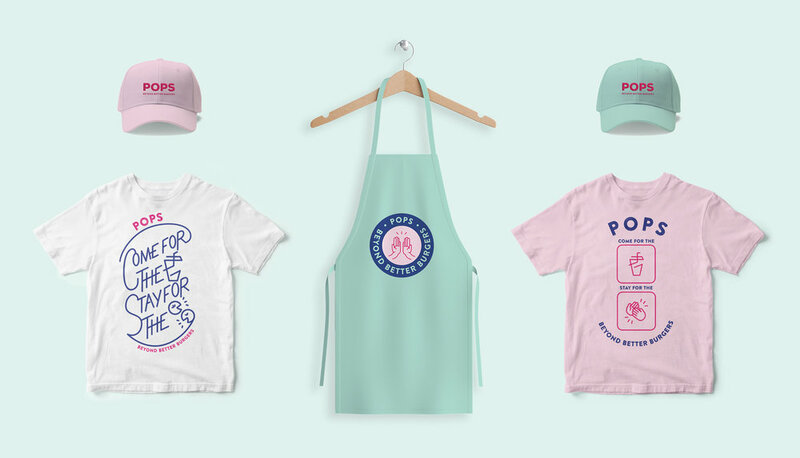 Agape Design Studio created the brand identity for POPS - including the brand message, strategy, logo design, packaging and posters. In a space that’s already filled with good food, how do you stand out? That is the challenge the owners of POPS were facing being located in the very competitive Katipunan area. In our meetings in their other establishment in ABS-CBN, we noticed how warm the environment was and how the owners, the Gomez family, seemed to know all of their customers by name. Largely inspired by them, we wanted to focus the messaging and visual elements on creating that same feeling of warmth and a sense of community. 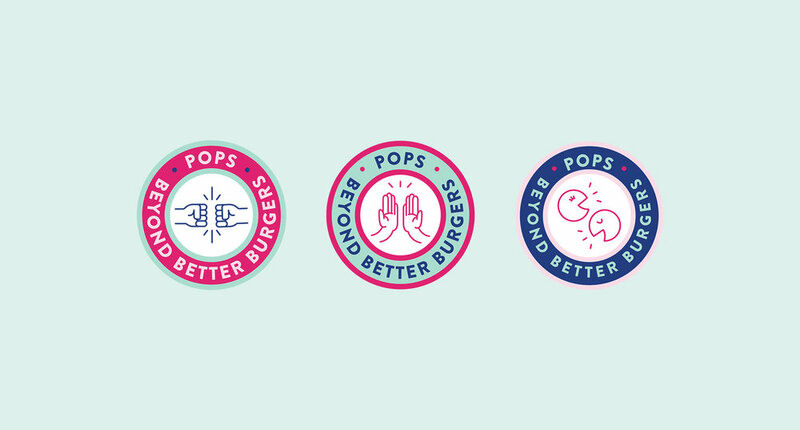 As a means to express the "community" aspect of POPS, we created badges depicting gestures or social interaction. These will serve as secondary logos, further conveying the brand message of "Come for the food, stay for the people." POPS wanted to convey the community aspect of the place in a way that resonates with the students of Katipunan. As a key part of POPS’ visual elements, we created wheat paste posters depicting nostalgia and pop culture references, most of which are of iconic groups from movies and TV series. 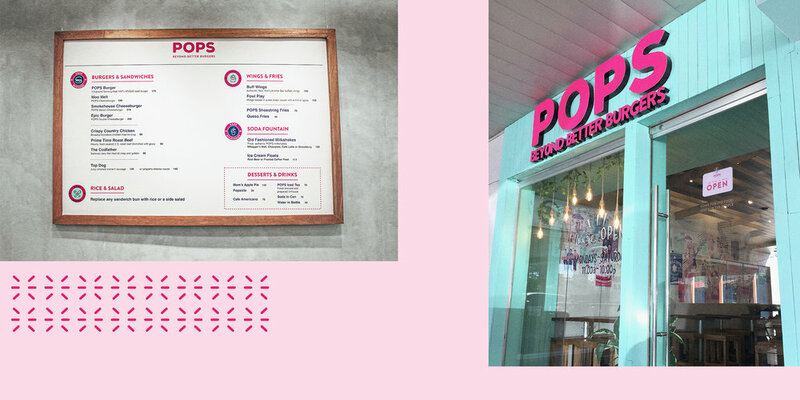 The target audience’s reaction on their Instagram Stories is a testament to the success of the visual identity we created for POPS. POPS is located at the G/F, Petron Gas Station, Katipunan Avenue.